Save time and fuel !! - Get off the beaten path and away from the tourist traps with this touch screen in-car navigation. - Smart and stylish our GPS Navigation systems are all packed with detailed roads and points of interest for ALL OVER GREECE and regional coverage (HALKIDIKI, THESSALONIKI etc) and will help to reach your holiday destination even faster. -The unit feature a very simple touchscreen interface with automatic route calculation to any destination and turn-by-turn voice-prompted directions along the way and with a Multiple language options. Selecting a destination is straightforward and requires only a limited amount of input from the user. - All of our sleek navigators and travel companions are affordable priced when pre-booked one!! -Request and Book your street map and ultra cool GPS unit, during your car reservation process and take advantage of our Great Internet Offer !! -Please keep in mind our GPS navigators units are in high demand but if one is pre-booked we can guaranteed to have one for you ! 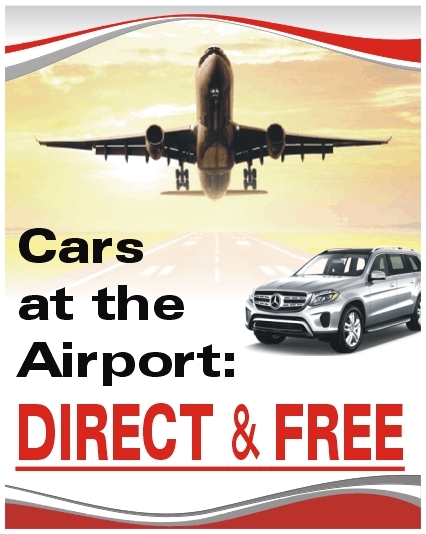 'COSMORENT' Rent a Car 4 Less ! and that is second to none ! !